In the 1800's, a girl lived on a small farm in the southern part of the U.S. This girl had no name, her mother was dead, and her father and brothers treated her cruelly. Her father and brothers just called her "Girl," no name required. Then one day, something happens that changes her life. A young girl comes to her farm, alone. This new girl has dark skin, very dark skin. This new girl is a runaway slave; she has run from her master and is probably heading for Canada, where she would be free. Her name is Zenobia, and the nameless girl first meets Zenobia when she comes to the doorstep of the nameless girl's cottage. Zenobia actually is a slave, and the nameless girl is treated just like one. Soon, Zenobia and the nameless girl are on the run, because soon, the slave catchers will be after Zenobia, and the nameless girl's father will come looking for her. Zenobia decides to give the nameless girl a name. She hears her whistling and thinks that she sounds just like a bird, so she calls her Lark, after the bird. This is very special for Lark. Receiving a name is like being welcomed into the world; for the first time, Lark feels like she has an identity. Lark is breaking the law to help Zenobia, where almost anyone else (like her father) would turn her in for the reward. The two girls quickly become like sisters, family. "Where's the redhead girl? And where's my runaway slave girl?" High up in the tree they are able to stay undetected, but the fact that Lark's father is looking for them is something to worry about. He had two hounds, who will find them in no time, except they apparently, thankfully, cannot smell up trees. Later on, they meet Brightwell, another runaway slave. He runs with them, and in their journey they meet new people, both kind and cruel, encounter trouble and tragedy, and become lifelong friends. Lark's and Zenobia's journey on the Underground Railroad shows that there is so much more to a person than the color of their skin. It shows that the worst of times can bring out the best in people. Zenobia and Lark stay together throughout their journey. Lark won't let anything separate them, not even the fact that her own father was hunting them down. So while this book is full of tragedy and trouble, there's something else in this story: loyalty to the people you love. Daddy's afterthoughts: Julia kind of back-pedaled into it, but yes, this novel is a historical tie-in to the history of the Underground Railroad. This makes it more than just a fictitious lark (no pun intended), but a nice way to introduce the history via an engaging story about two heroic young women, though the history itself (names, places, dates, figures) is low-key and in the background - this does not read like a history textbook! The focus is on the actions and escapades of these two youngsters. The book is narrated in dialect; Lark is the first-person narrator of this book, and the sound of her voice comes though clearly in the altered spellings (-in instead of -ing, for example), word choices, and grammar ("Me and Zenobia set down..."). For some parents, I know this might present a problem, especially for younger readers whose parents might prefer exemplars of more polished "standard" English. But give it a try! Dialogue too is infused with the local color of the time and place, and parents will perhaps be happy to hear that the dreaded and hated "n-word" is not used anywhere in the book - not something you get with Huck Finn and the like. Perfect for grades 4 through 8. 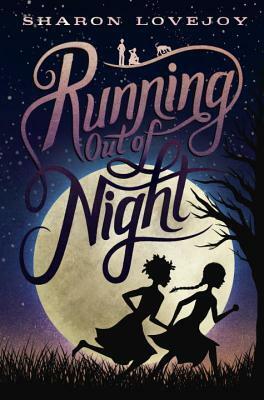 I am honored by your review of my book, Running Out of Night. It is laser-on with your intuition. "This is very special for Lark. Receiving a name is like being welcomed into the world; for the first time, Lark feels like she has an identity." Absolutely. Before Zenobia and Lark became like sisters, she felt alone and invisible (after her beloved Grandpa died). Although there is terrible loss, cruelty, and tragedy, this is truly a book about loyalty and friendship. And love, do I need to mention that it is about love? You hit it in an unerring manner. You're a good and mature writer. I hope that it flows easily for you and that you know how important writing/storytelling is in our lives. I'm thrilled that you are reading and writing and I look forward to reading your next review. I am honored that you took the time to look at my blog! I thought your book was of the best stories that I have ever read. I like books in the historical fiction genre because they touch on important periods of history, while making them entertaining for kids. When people think of historical fiction, most people think of war and death and blood - authors write about wars, diseases, plagues, disasters, famine. But you focused on a little girl, alone in the world without anyone to talk to, confide in, until she meets someone like her (both treated cruelly where they lived, Zenobia actually was a slave, but Lark was treated like one). They're both gutsy, but until Zenobia came, maybe Lark never would have dared to run away? Zenobia inspired Lark, even though at the time Zenobia would be considered a criminal under the law, not even considered a person. But Lark thought of her as a friend, or even a sister. Lark looked beyond that fact that they were different races, and came from different backgrounds, and she chose to run a way from everything and everyone she's ever known and go with Zenobia. The "loyalty" that Lark felt for her family was I could call "dishonest" loyalty; if you are going to be loyal to someone, you will willingly follow them. True loyalty comes from the heart, not from the pressure other people put on you. Lark's loyalty to her family was based on fear. But, her loyalty to Zenobia is based on love. I would have done the same thing. Thanks for a great book and a nice comment! Great review, Julia. I saw this book at a discount store a few months back and debated whether to buy it. Your review makes me regret not purchasing the book when I came across it. I'm now following your blog and look forward to reading more of your reviews. Thanks for following my blog! I try to do 2 each month. Check out some of my other reviews!